இளம் குழந்தைகளில் பலவீனமான கண்பார்வை கவனிக்கப்படாமல் போவது எளிது. பெரும்பாலான நேரங்களில், குழந்தைகளுக்கே தங்கள் கஷ்டம் புரிவதில்லை. It is easy to notice the weak eyesight of young children. In most cases, children do not understand their difficulties. As parents, we need to be more watchful. One of the most common problems for growing children is the weak eyesight.When we experience weak eyesight, children will try to fix their own vision. This day is more viscous. 1. Sitting near TV: This is one of the most common symptoms. Do not be misunderstood if your baby is standing beside Twee and joins their favorite cartoon. 2. 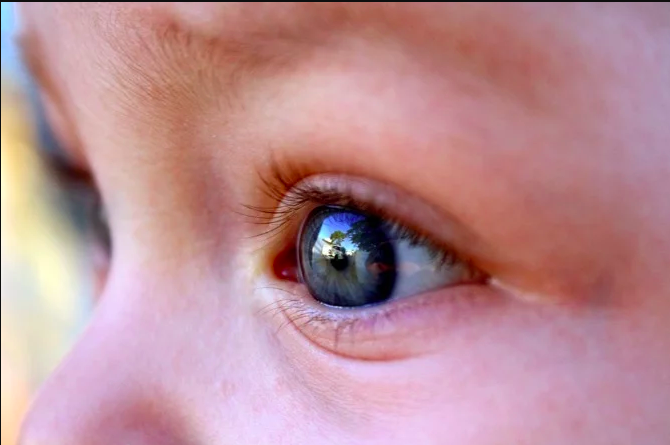 Closing the Eye: Have you seen your baby try to focus on the object that is far away? Are you looking at a blind eye? When they can not be seen by two eyes, they try to use only strong eyes. If this problem is resolved soon, it can further weaken the eyesight. 3. Often bleeding: Small children do not know how to express a clear vision. As a result, they often have a tendency to bite. If the water is often leaked, immediately take the baby to the doctor. 4. Difficult to Understand: It is difficult to read that weak eyesight is written on the board for children. There is a problem in understanding what's going on at school. . Sometimes the authors will say this is careless.But parents are to take care of them more carefully. 5. Headache or Dizziness: Many grown children suffer from headaches and headaches.